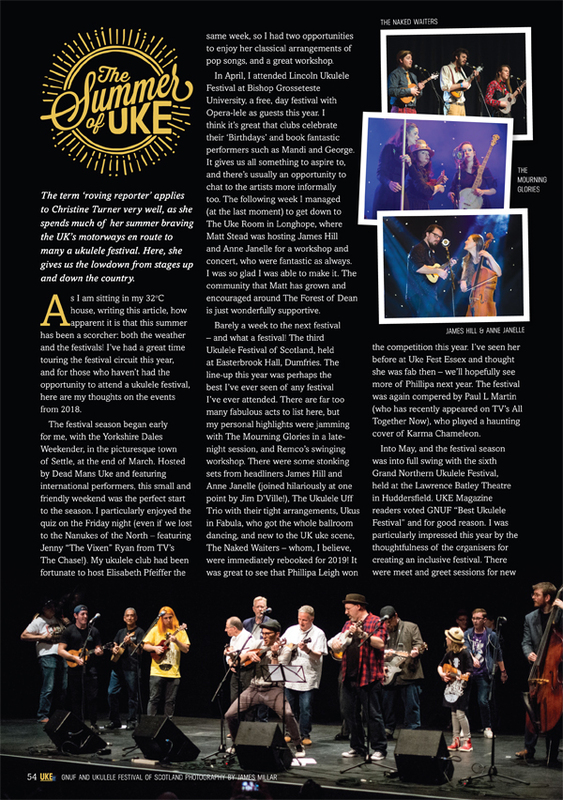 UKE Magazine is an independently published, beautifully designed 60-page full colour magazine, centred on the ukulele scene in the UK, while keeping an eye on what is happening with ukes around the world. This issue we talk to George Elmes, the Irish uke player whose phenomenal skill has become a YouTube sensation and led to him working full time with the instrument in China. His favoured Kiwaya Ukuleles come under the spotlight in the reviews section too. There's much to learn with articles on slide technique and chord inversions, plus music to get to grips with from Phil Doleman. Another of our interviews is with Simon from the band Plastic Jeezus, who have also prepared a tutorial on how to play one of their songs. 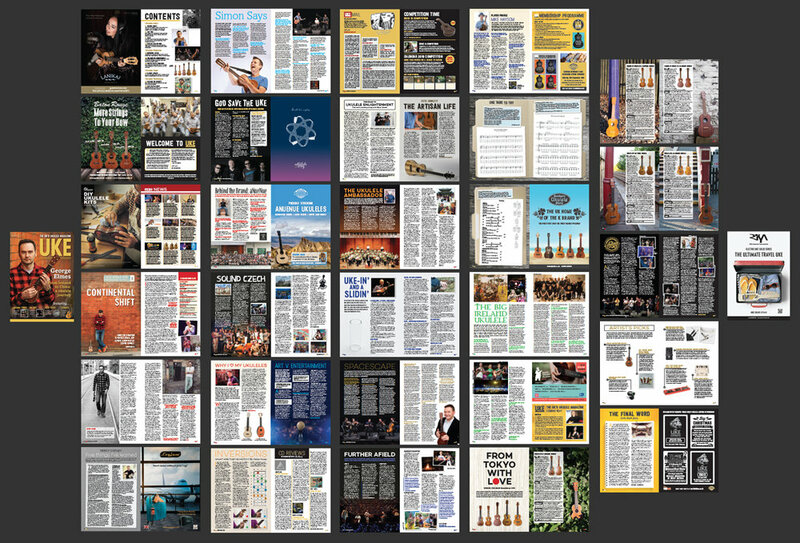 That's the tip of a ukulele iceberg too, in a crammed edition that's bursting with ukulele news, features, reviews and interviews. Our cover star discusses life as a ukulele professional in China, his YouTube experiences, his love for Kiwaya Ukuleles and Ireland’s Ukulele Hooley. 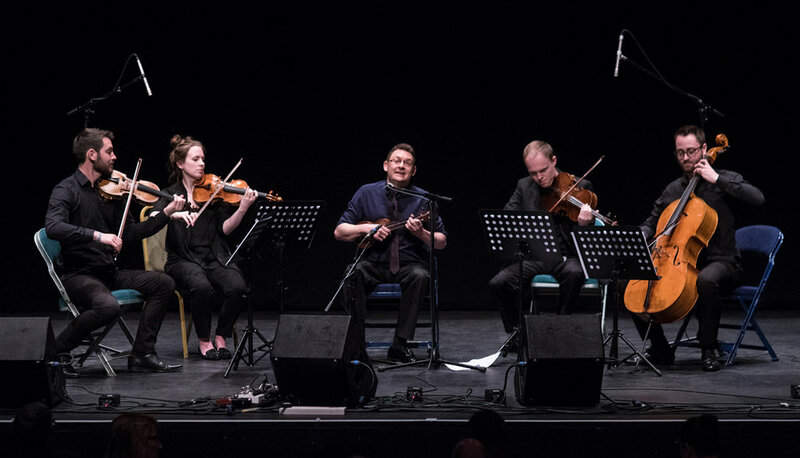 Andy Eastwood’s ground-breaking composition, ‘SpaceScape’, for ukulele and string quartet, comes into our orbit.